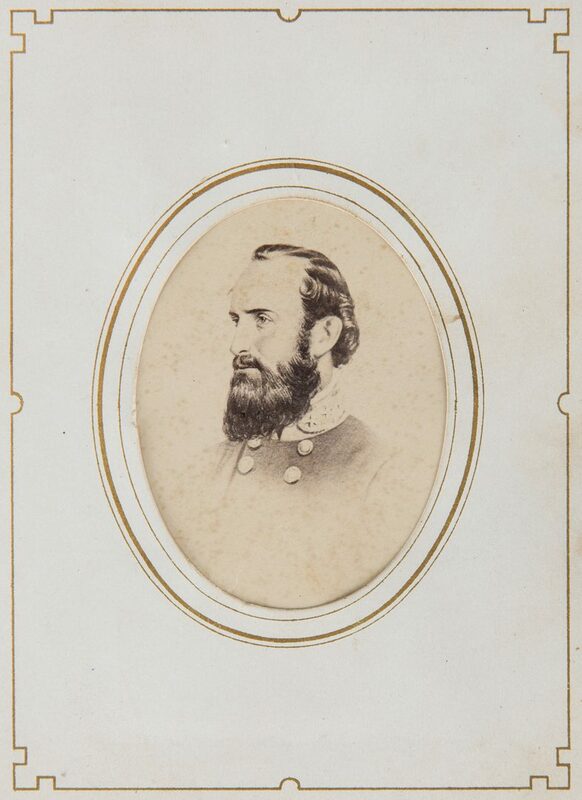 Civil War era album of forty-two (42) Confederate related cartes-de-viste, including John Wilkes Booth and a young Robert E. Lee, and other CSA Generals including Nathan Bedford Forrest, and Stonewall Jackson. 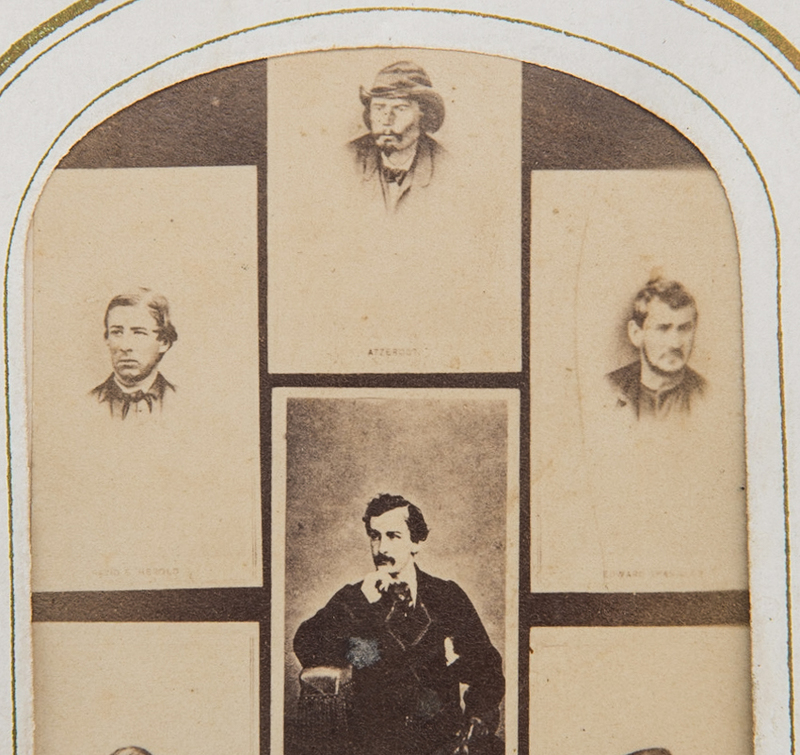 1st item: Composite CDV depicting John Wilkes Booth and his conspirators including George Atzerodt, Edmund Spangler, Michael O'Laughlen, Lewis Powell, Samuel Arnold, and David Harold. 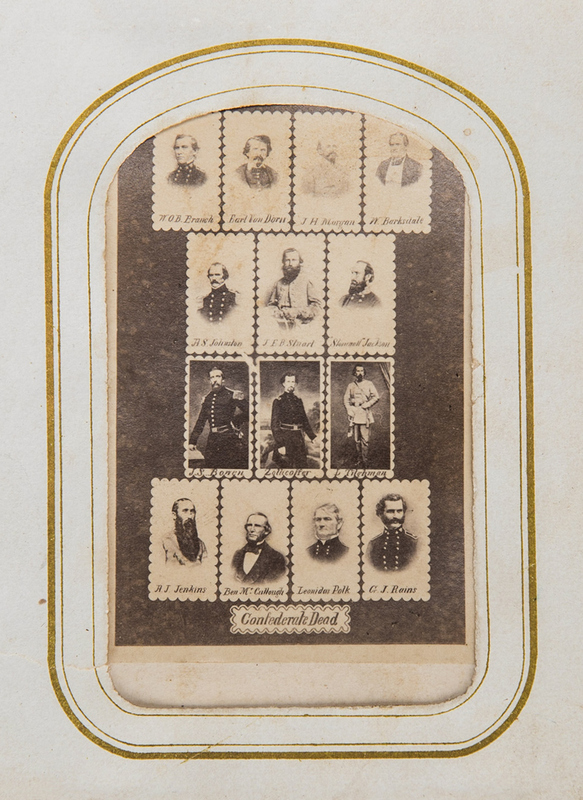 2nd item: Composite CDV titled "Rebel Army of Virginia" depicting Confederate Generals James Longstreet, Pierre-Gustave Toutant de Beauregard, John Cabell Breckinridge, Fitzhugh Lee, Robert E. Lee, Ambrose Powell Hill, Jr., and Richard S. Ewell. 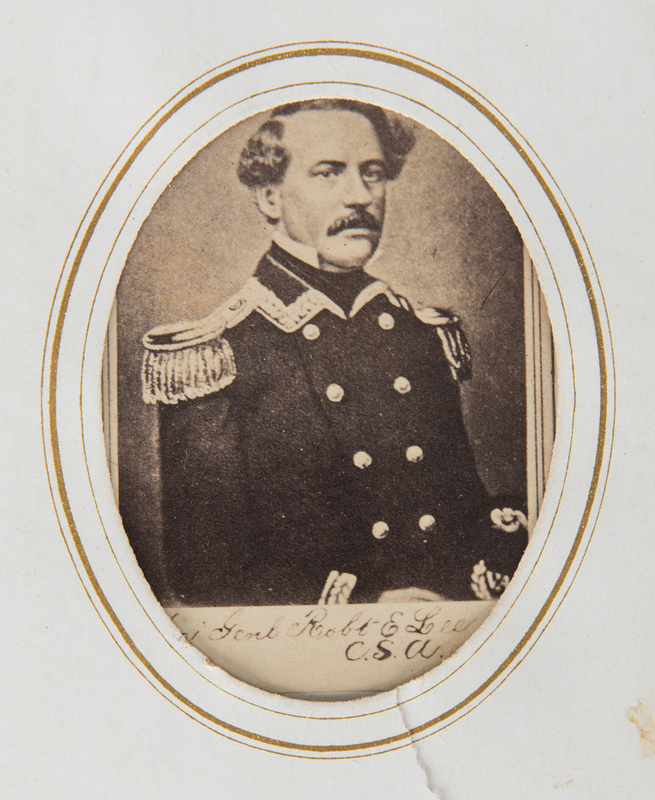 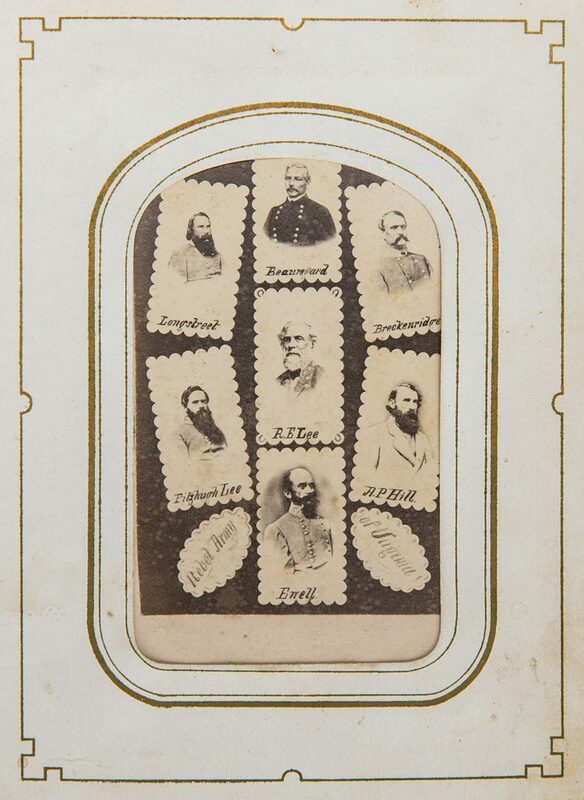 3rd item: Composite CDV titled "Rebel Army of Southeast" depicting Confederate Generals John Bell Hood, Sterling Price, Nathan Bedford Forrest, Edmund Kirby Smith, Joseph E. Johnston, Franklin Gardner, and Braxton Bragg. 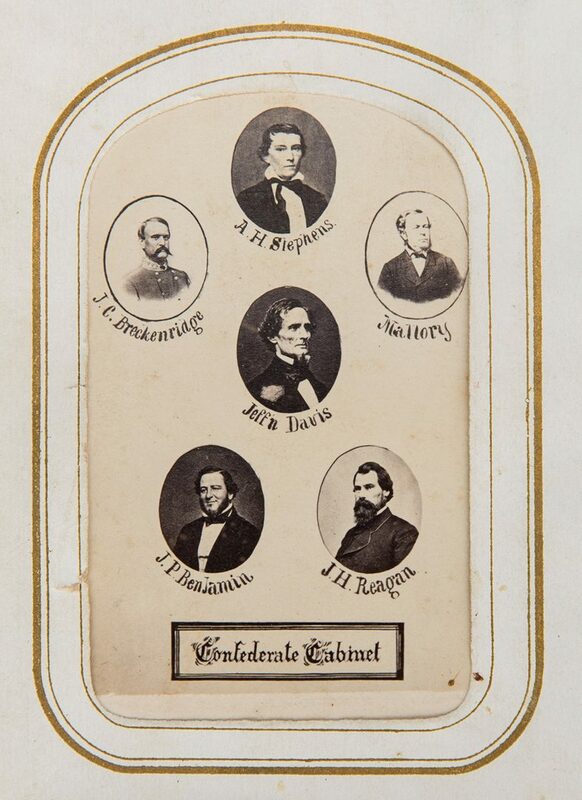 4th item: Composite CDV titled "Confederate Cabinet" depicting the leaders of the Confederate States of America including President Jefferson Davis, Secretary of War John Cabell Breckinridge, Vice President Alexander H. Stephens, Secretary of the Navy Stephen Mallory, Judah P. Benjamin, and Postmaster General John Henninger Reagan. 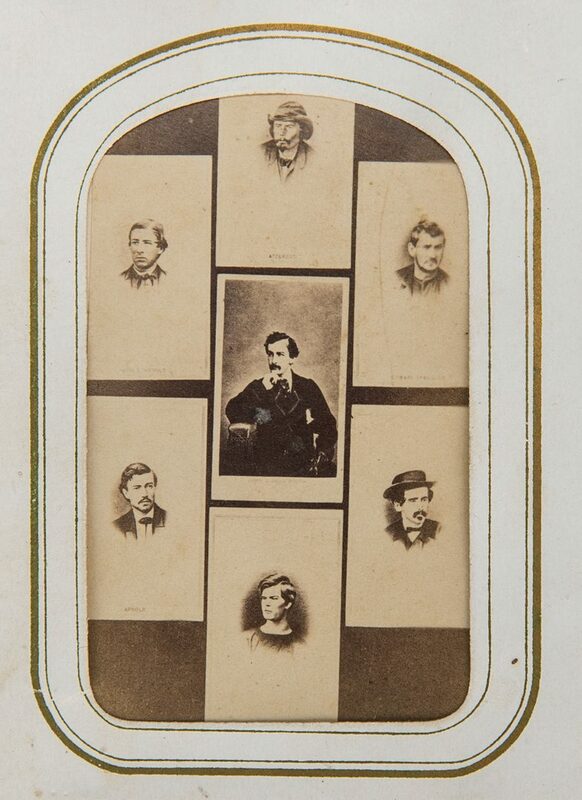 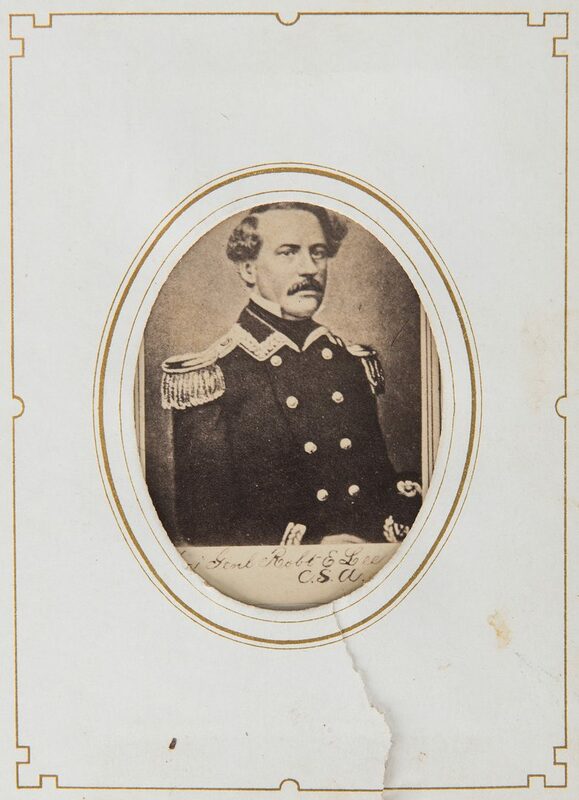 5th item: Composite CDV titled "Confederate Dead" depicting Confederate Generals who were killed in action during the Civil War including W.O.B. 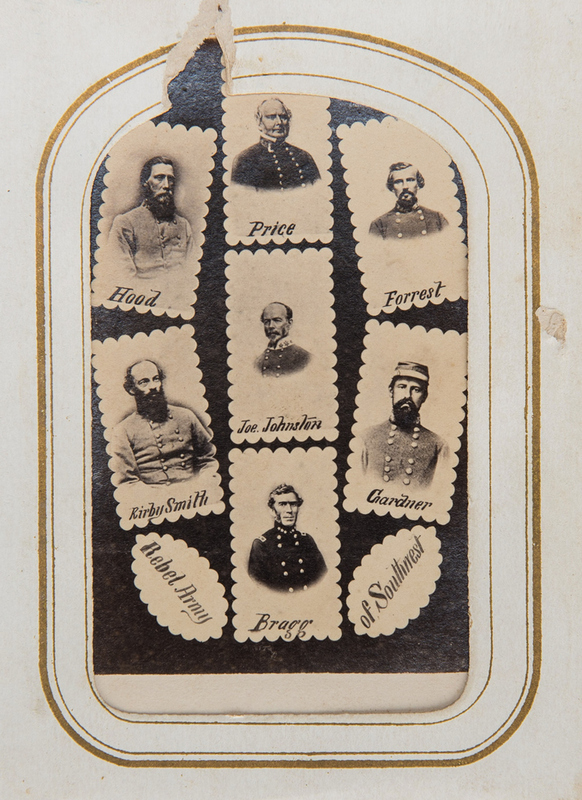 Branch, Earl Van Dorn, John Hunt Morgan, William Barksdale, Albert Sidney Johnston, James Ewell Brown "Jeb" Stuart, Thomas Jonathan "Stonewall" Jackson, John S. Bowen, Felix Zollicoffer, Lloyd Tilghman, Albert G. Jenkins, Ben McCullough, Leonidas Polk, and Gabriel J. 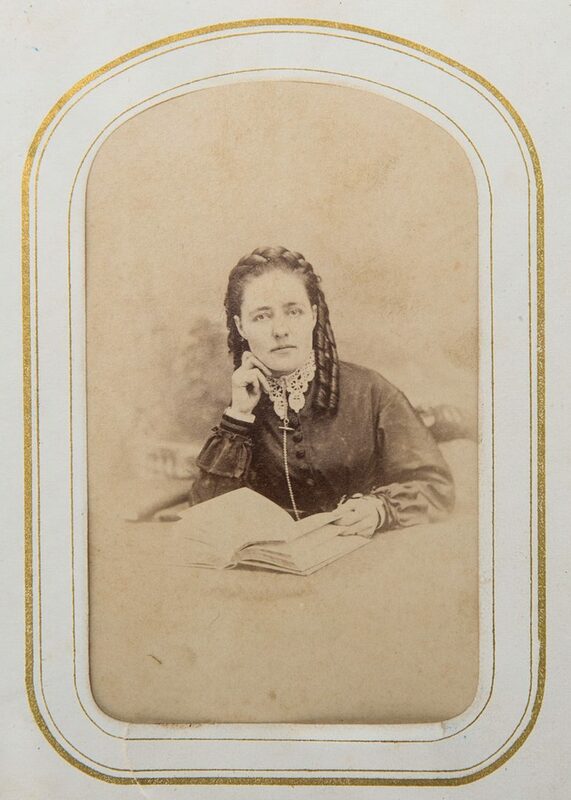 Rains. 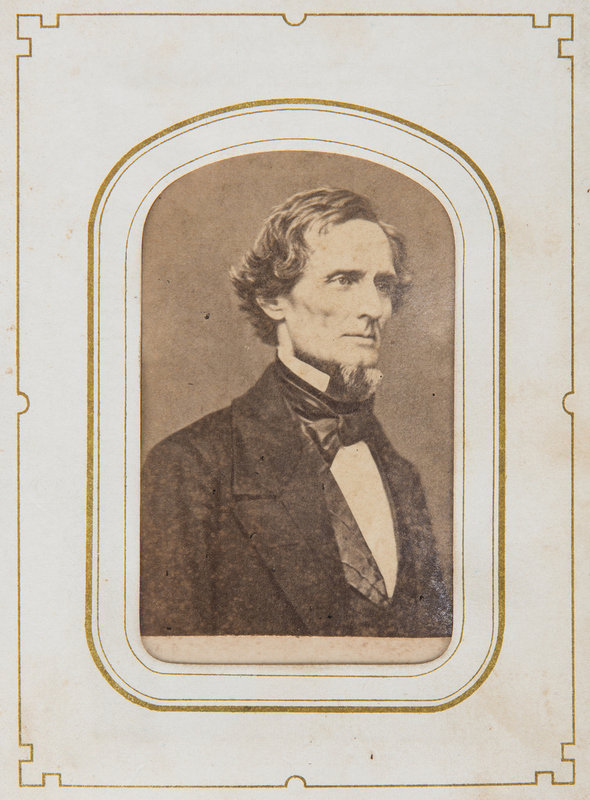 6th-39th items: Thirty-four (34) CDVs depicting CSA Generals and leaders, including one (1) Jefferson Davis, one (1) Alexander H. Stephens, with E. & H.T. 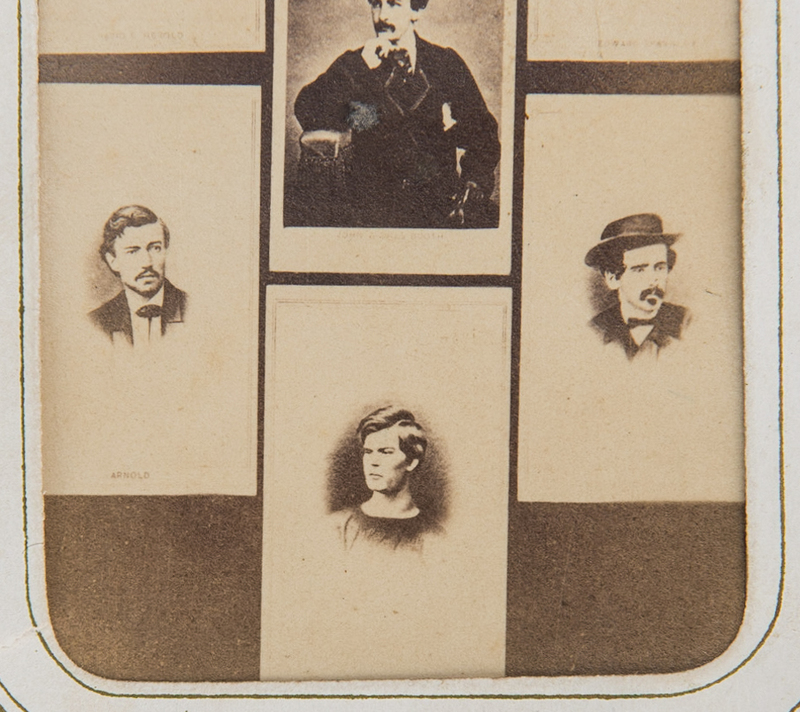 Anthony, New York, NY studio marks, three (3) Robert E. Lee, one (1) Thomas Jonathan "Stonewall" Jackson, one (1) Nathan Bedford Forrest, one (1) John Cabell Breckinridge, one (1) Braxton Bragg, one (1) Joseph E. Johnston, one (1) Albert Sidney Johnston, one (1) John S. Bowen, one (1) James Ewell Brown "Jeb" Stuart, one (1) Ambrose Powell Hill, Jr., one (1) John Bell Hood, one (1) Pierre-Gustave Toutant de Beauregard, with Morse & Peaslee, Gallery of the Cumberland. 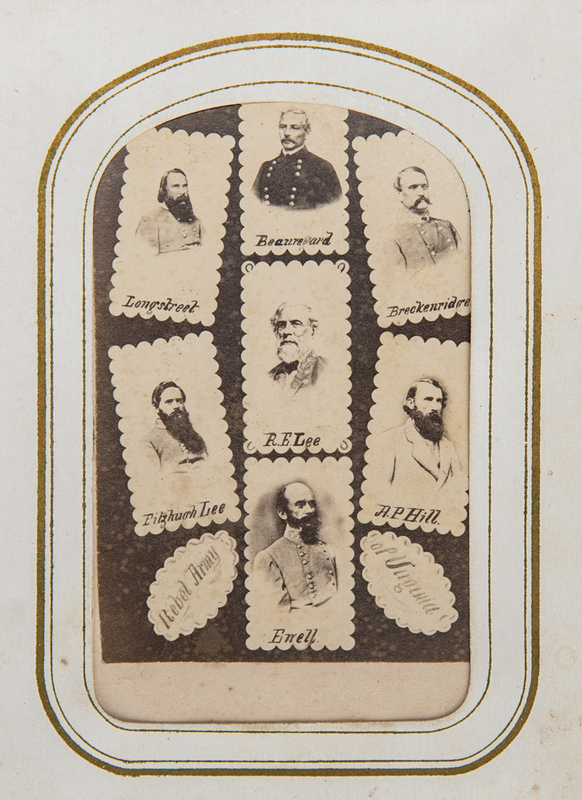 Nashville, TN, studio marks, one (1) Richard S. Ewell, one (1) James Longstreet, one (1) Leonidas Polk, with E. & H.T. Anthony, New York, NY studio marks, one (1) Humphrey Marshall, with E. & H.T. 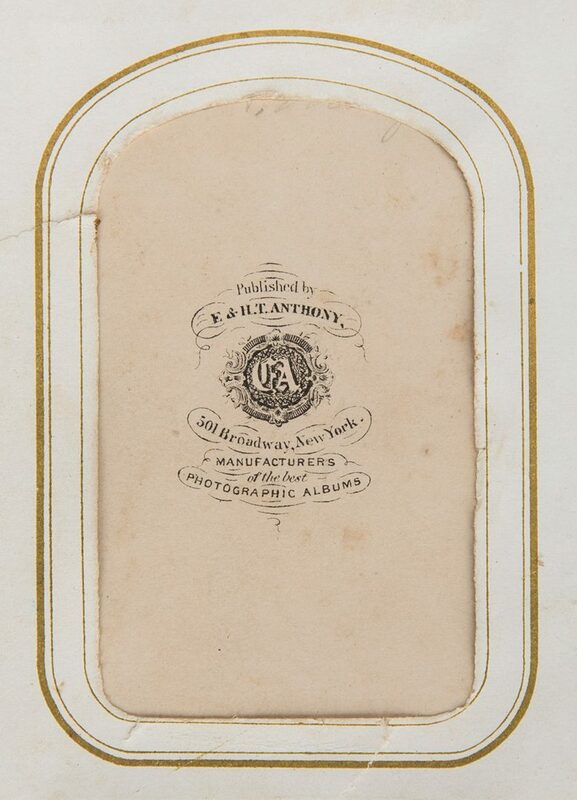 Anthony, New York, NY studio marks, one (1) Simon Bolivar Buckner, one (1) Sterling Price, and twelve (12) additional CDVs, including one (1) with E. & H.T. 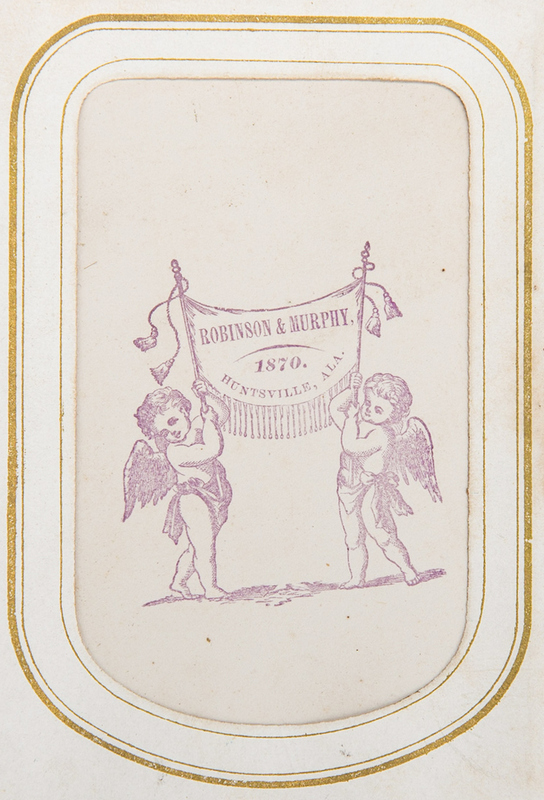 Anthony, New York, NY and one (1) with Robinson & Murphy, Nashville, TN studio marks. 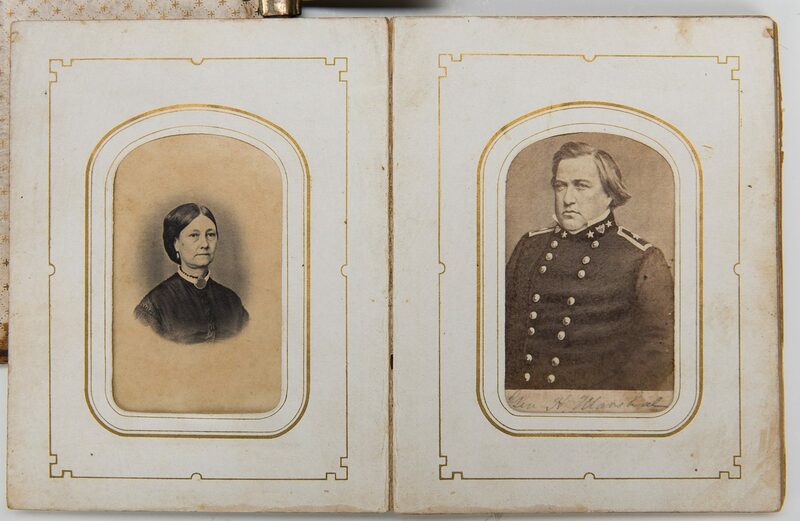 40th-42nd items: Three (3) CDVs of Civil War era women, one (1) possibly depicting Julia Laura Jackson Christian, daughter of Thomas Jonathan "Stonewall" Jackson, one (1) possibly depicting Rose O'Neal Greenhow, a female Confederate spy, and one (1) possibly depicting Varina Anne "Winnie" Davis, daughter of Jefferson Davis. 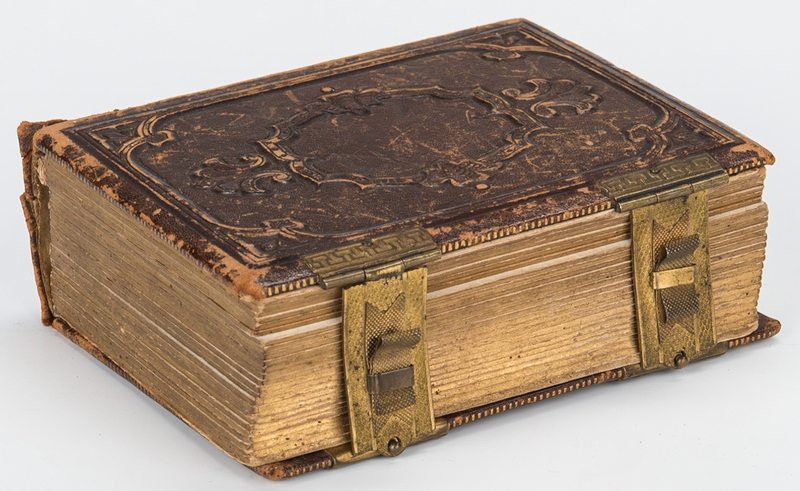 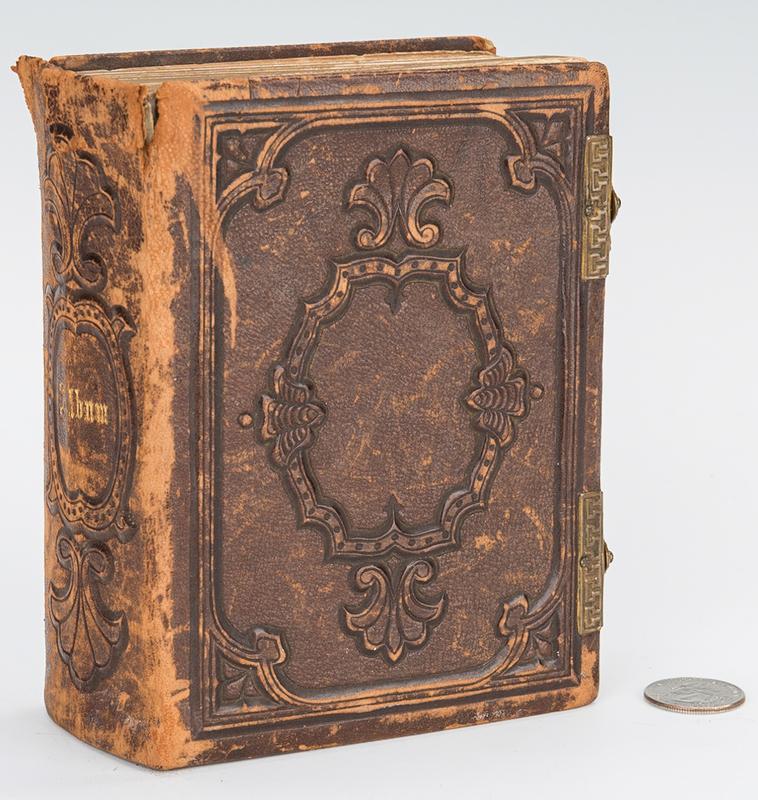 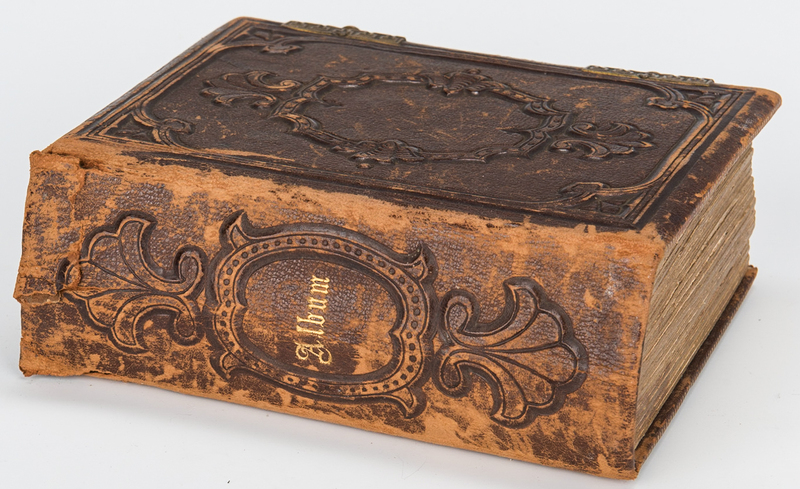 Tooled leather and brass bound album manufactured by F. Heppenheimer, New York, NY. 6 1/8" H x 5 1/4" W x 2 1/4" D. Provenance: the collection of Benjamin Dysart, Brentwood, Tennessee, descended in his family. 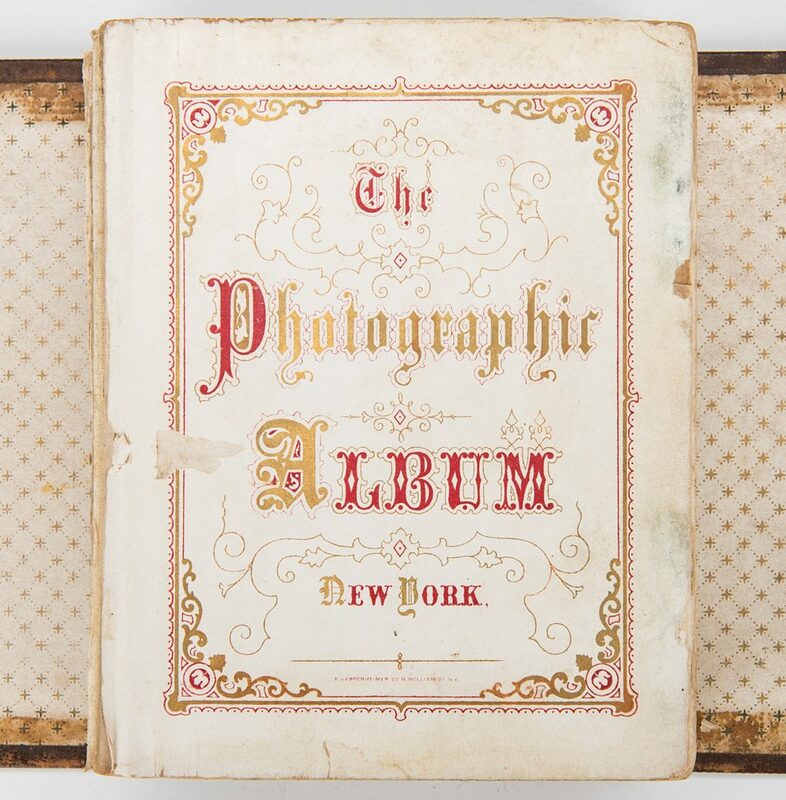 CONDITION: Album in worn condition with be expected from age. 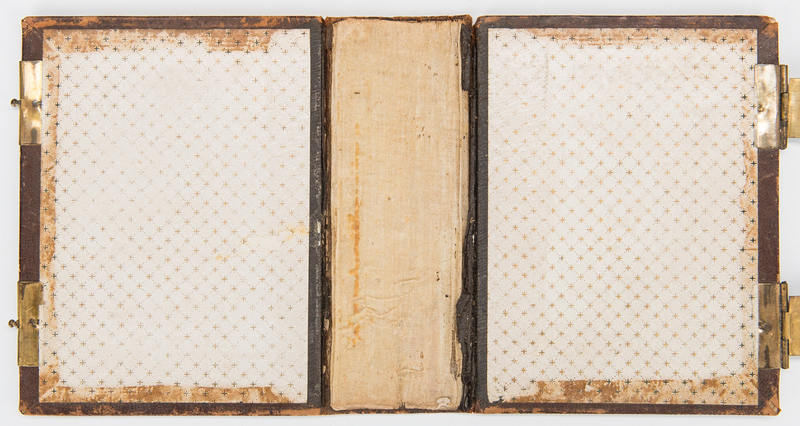 Album pages separated from binding, tears, toning, surface stains. 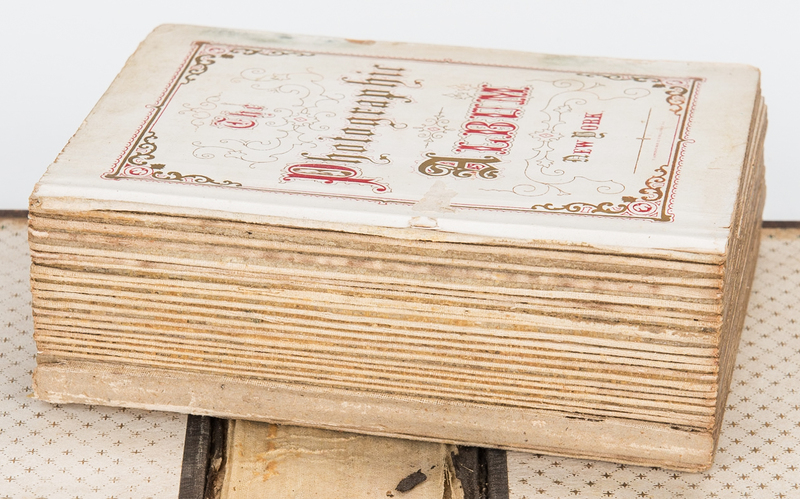 CDVs in overall good condition, not examined outside of album pages.